Making meals around here used to be such a hassle. Around 5 pm you could usually find me with my head stuck in the fridge staring at the contents trying to find something to make for dinner. Since we buy mostly fresh produce and ingredients, I would often only have one or two items needed to make a meal. This would often result in some crazy combinations. I think in my desperation we have even had a meal completely comprised of side dishes. Of course, we always had pasta in our house. When I was pregnant I am pretty sure my husband ate nothing but spaghetti with pesto for at least a week because I never got to the grocery store. Our meals were not always so bad. When I used to work full-time I was great at meal planning. 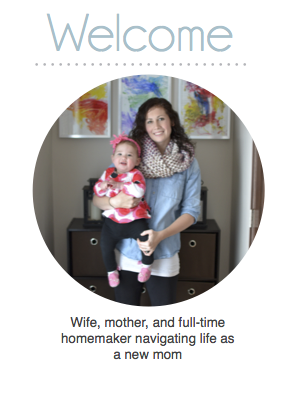 We would go shopping once a week, and buy all of our ingredients for our meals. There was no guess work. I didn't have time for that with almost an hour commute to work. We knew what we were eating each night, and since I had the recipe laying out Anthony was even able to start dinner a few nights before I got home. Once again I have decided to carve time out of my busy day every Sunday to plan our meals for the week. This has cut down our grocery bill tremendously thanks to planning meals around the ingredients we already have in the house. I also make less trips to the store and it doesn't take as long to get dinner on the table which is awesome with a fussy eleven month old. Once again dinners are mostly stress free since I know what I am cooking every day and have everything I need. Last week, however, something strange happened. I am not sure if it was the lack of sleep or just some crazy craving, but we ended up with a menu full of Tex-Mex fare. It wasn't even until Wednesday when I realized we had already had BBQ chicken salads, tacos, and enchiladas with a whole fridge still full of ingredients for more tacos. At least it was all yummy! Here are some of the things I cooked up in the kitchen last week. Since I grocery shop on Sunday afternoons most of our Sunday dinners are just something I can throw together quickly when I return with the food. 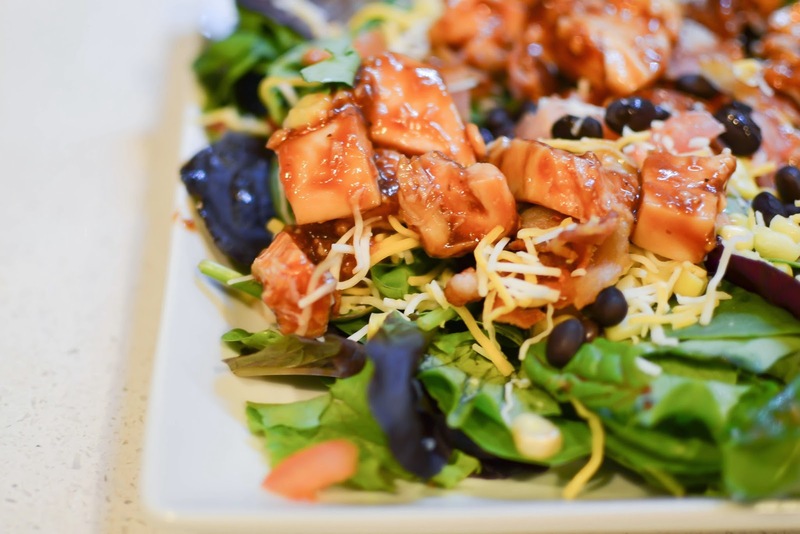 Last Sunday, I made a BBQ chicken salad, complete with romaine lettuce, black beans, corn, Monterey jack and cheddar cheeses, BBQ chicken pieces, bacon, and a little bit of ranch dressing to top it off. This salad while not the healthiest was very filling. Even my husband who is always hungry was stuffed. We are huge quinoa eaters in this house. Quinoa is a great source of protein and loaded with minerals and antioxidants. We eat it several times a week in place of less nutritionally rich starches such as potatoes and rice. 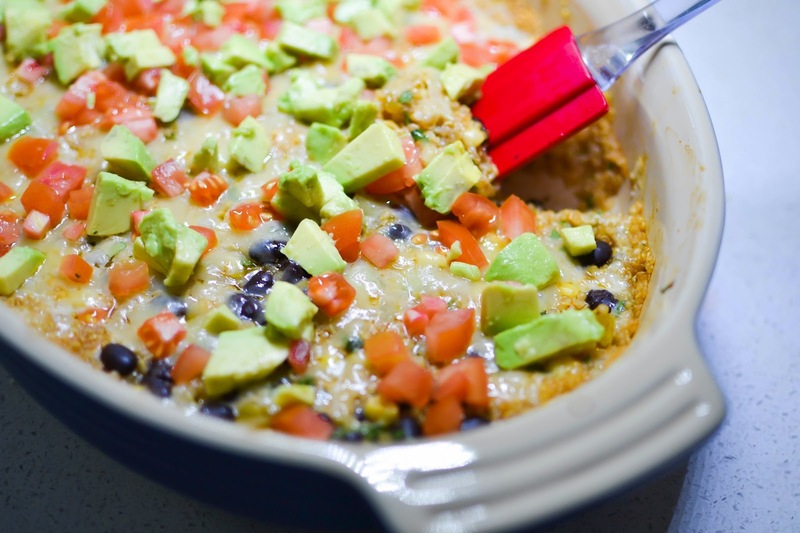 This week I decided to attempt a fun twist on the traditional casserole and made a quinoa enchilada casserole. Grace absolutely loved this meal even though she desperately needed a bath by the time dinner was over. In addition to trying to eat real-food meals we have also been trying to limit the amount of meat we consume, so we have been exploring new sources of protein. We have no moral objections to eating meat we just think it is healthier to consume it in moderation rather than at every meal. PLUS have you seen the prices of grass-fed organic beef? Ridiculous. This decision has led to me branching out of my comfort zone with my cooking. It has also forced Anthony to start eating beans. 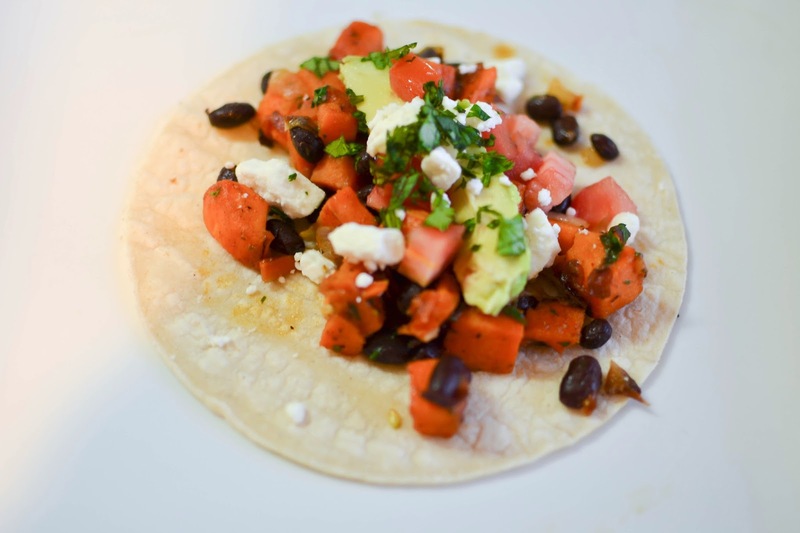 By far my favorite meal of the week were the Honey-Lime Sweet Potato Tacos. The mix of sweet potatoes, beans, avocado, tomato and feta was amazing. PLUS they were super easy to make.